Prized for her exquisite beauty, Princess Gabrielle of St. Biel, the daughter of one of England’s most influential barons, is a perfect bargaining chip for a king who needs peace in the Highlands: King John has arranged Gabrielle’s marriage to a good and gentle laird. But this marriage will never take place. Upon her arrival in Scotland, Gabrielle is immediately entangled in Highland intrigue, as a battle royal flares between enemies old and new. For two sadistic noblemen, underestimating Gabrielle’s bravery and prowess may prove fatal. Colm MacHugh, the most feared man in Scotland, makes no such mistakes about the captivating princess. Under his penetrating gaze, neither Gabrielle’s body nor her heart is safe. It was worth reading but not as good as 1 and 2. 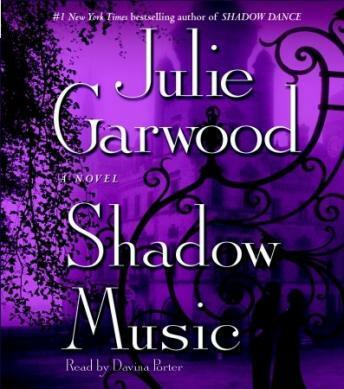 Julie Garwood is wondrous!!!!! I love her! The book is excellent and the narrator is very good. Loved the narrator and found this story of Scotland in all its clannish glory interesting and easy to listen to.